Pretty Girl's definitely do rock, and Keri Hilson is enjoying some time off recently kicking it with her NBA baller beau Serge Ibaka. 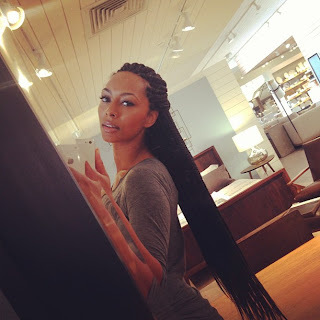 Whilst out furniture shopping she took a quick snap of her new long braids. Very pretty!